Join the La Porte Economic Advancement Partnership at Raymond & Spence Insurance Group, LLC on May 23rd for a Business & Brews event to network with the area's business professionals Raymond & Spence Insurance Group, LLC. will hold the event at their 1212 Lincolnway location in La Porte. More details to come! 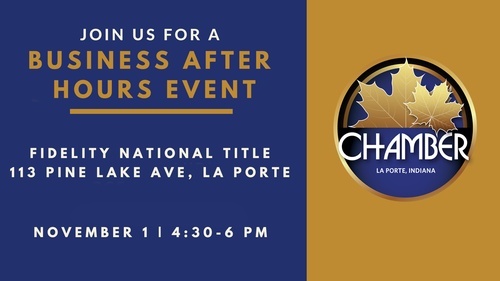 Attendees can begin arriving at 4:00 p.m. and the event will last until 6:30 p.m.
Brent Raymond & Bill Spence have been protecting families and businesses in La Porte County for well over a decade. Raymond & Spence Insurance Group was founded to better serve our community with the best insurance plans at the lowest possible rates! To learn more about Raymond & Spence go to http://www.raymondspence.com or call their La Porte office at: 219.344.5160. Raymond & Spence Insurance Group, LLC.